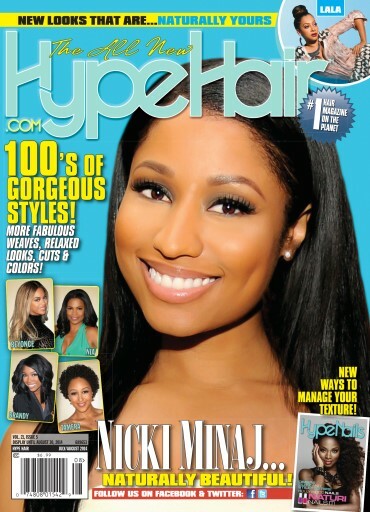 One of our fave hair crush divas, Nicki Minaj graces the cover of Hype Hair’s July/August 2014 issue, highlighting the first lady of Young Money’s style transformation from over-the-top to beautifully natural. The issue also features celebrity profiles on LaLa Anthony, Brandy and Tamera Mowry-Housely. And, of course, you’ll get your regular dose of hot hair styles, special nails and natural hair sections, beauty giveaways and how-to’s.